Kate Moss is rarely caught in an unfashionable moment, and her latest outing in London was no different. The English model was spotted on her way to an exhibition in Mayfair on June 8 looking chic and stylish in some metallic printed trousers and a blazer. The 42-year-old beauty showed us a bit of her wild side. She wore gold leopard-printed high-waisted trousers that accentuated her trim midsection with the help of a funky studded belt. Kate added a black blazer with a leather collar and accessorized with some black sunnies, a long tassel necklace, statement rings, and a small black clutch. The model looked sophisticated and casual at the same time as she styled her golden locks natural and went with minimal makeup. 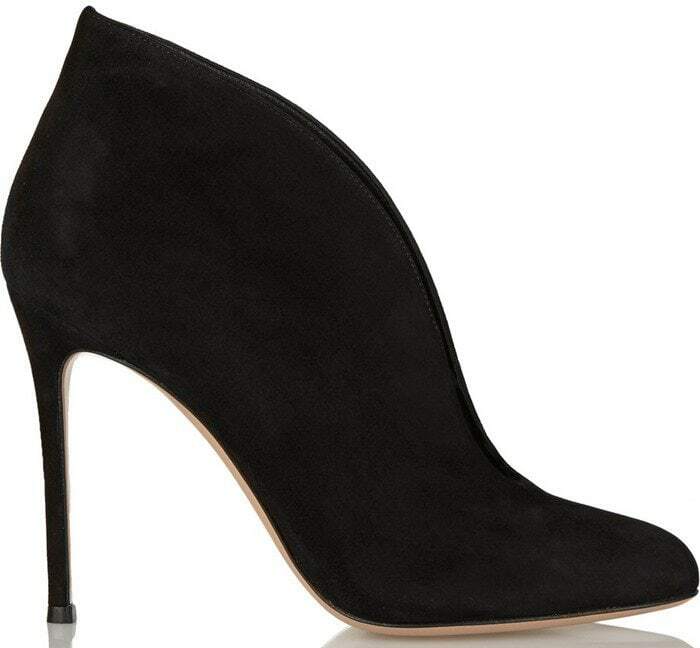 Kate chose a pair of funky black suede Gianvito Rossi “Vamp” ankle boots for her feet. 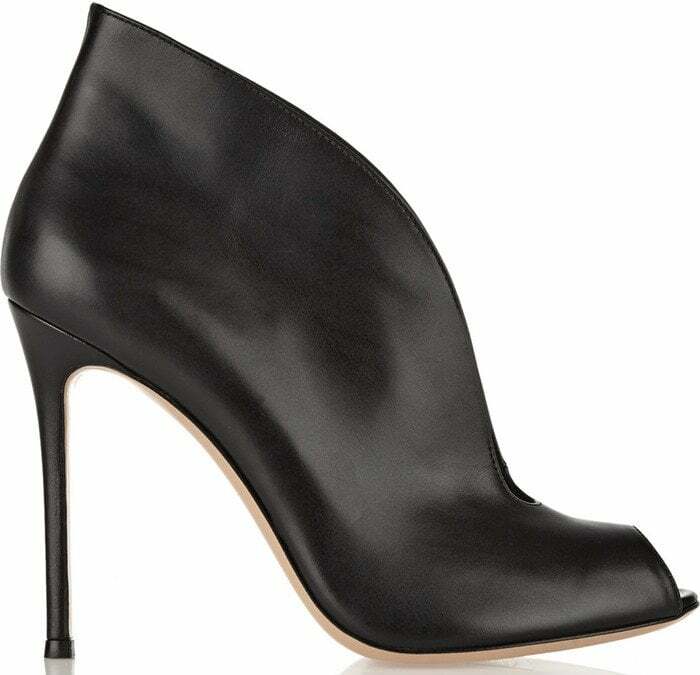 These pumps completed the model’s stylish ensemble with interesting narrow vamps, almond toes, and an extended topline.They come in both leather and suede versions, and pack in some height with four-inch heels. Grab a pair for yourself in suede or leather at Net-A-Porter!